Reader letters to Newsday for Monday, March 25, 2019. President Donald Trump should not be blamed for the killings of 50 worshippers at mosques in New Zealand by a white supremacist who wrote that the president is “a symbol of renewed white identity and common purpose” [“Trump downplays threat of white nationalism,” News, March 16]. What Trump says, however, has consequences. Either he is oblivious to or uncaring about the facts, but words matter. Kudos to New Zealand. Instead of giving the shooter undue publicity, the country’s media are honoring the lives of victims by reporting on them one by one. New Zealand immediately banned assault weapons, something our Congress has been unable to do in spite of repeated carnage in this country. Thank you, Newsday, for humanizing the victims of the horrendous attack in New Zealand. Once again, the unimaginable has occurred, and innocent people have been slaughtered by someone bent on destroying civility. Once again, we are shown that no one in this world is safe from such evil. Once again, I cry for people whom I do not even know — and our president cannot summon the courage to admit that white extremists are a significant deadly threat in this nation and around the world. Trump seems to feel the need to pander to “alt-right” groups to maintain their support. This is the man that many leading Republicans continue to support, despite some feeble attempts at opposition to his statements and tweets. It appears that keeping their jobs is more important than keeping us safe. How can they sleep at night knowing that they continue to enable this man to lead our country? 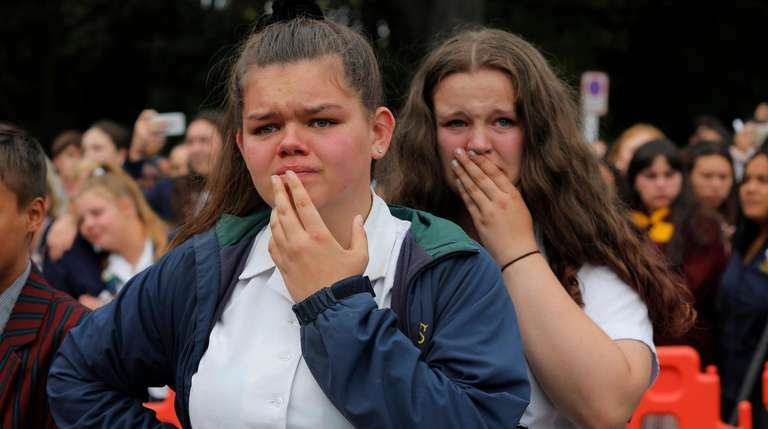 Claiming that the killer in New Zealand has a “warped mind,” along with too many others here and elsewhere, gives cold comfort to the living [“Violent act, warped mind,” Editorial, March 16]. And don’t all killers have warped minds? President Donald Trump not long ago said he saw nothing wrong with nationalism. I believe he probably still doesn’t. Trump was mentioned by the cowardly suspect in his manifesto. I doubt that publicity of that sort makes Trump proud. Unlike politicians in the United States, government officials in New Zealand enacted immediate changes in their gun laws. It’s too bad that New Zealand no longer has a swift death penalty option. At least its leadership has more courage than ours. Patricia Okoumou, who climbed to the base of the Statue of Liberty on July 4, causing the park to be evacuated, was sentenced to only 5 years of probation and 200 hours of community service [“No jail time for statue climber,” News, March 20]. Apparently, the U.S. magistrate did not take into account the financial losses to families that had hoped for a once-in-a-lifetime chance to visit the statue. He also should have considered the fact that Okoumou placed many police officers in danger with her antics. There should have been a monetary fine to compensate those affected by her stupid act. The excessively high fines from red-light cameras have become a necessity to supplement Nassau County’s general fund, even if the mandatory warning signs don’t exist [“Warning signs lacking,” News, March 17]. Unlike a police officer who might excuse an infraction after hearing a reasonable explanation, these unfeeling electronic judges on a pole act as judge, jury and executioner! It’s time for motorists to collectively strike back by avoiding all red-light-camera intersections, even if one has to go out of his or her way or never turn right when the light is red. To quote the old movie “Network,” drivers must tell Nassau and Suffolk counties that we’re mad as hell and not going to take it anymore! Editor’s note: The writer is a retired SUNY police officer.